The MAIA team is more than a collection of hired hands. We are a dedicated, passionate team. We blend traditional values with progressive thinking. We act, we learn, we refine…and we act again. MAIA consists of a streamlined support team in the US and a broader operational staff in Guatemala. All of our staff members are 100 percent committed to the success of the girls and families in our program. The entire team, including our Board of Directors, is driven by MAIA’s core values. We are a team of 40+ full-time employees in Guatemala. Our combined US and Guatemalan staff is 86 percent indigenous Mayan and 90 percent female. We are among the only indigenous-led organizations in Guatemala. In order to keep our US operations lean, our Colorado-based office has three full-time and one part-time staff. Take a look at our 2018 Culture Guide to learn more about the values and competencies that shape our organization! Julie’s 30+ years of experience as a volunteer, fundraiser, and philanthropist inspired her to visit MAIA’s program in Guatemala in early 2014 and join the BOD the following fall. During her years as a board member, Julie and her husband Tom have led several annual Volcanothon trips to Guatemala to engage supporters and raise funds for the program. Julie holds a BA in Spanish and a certificate in professional editing from UC Berkeley. She and Tom have three grown children and reside in Shoreline, Washington. Julie is an award-winning community leader and champion for education and restorative justice. In 2012, she received the Mayor’s Award for Excellence from the City of Golden (Colorado) for her efforts to fund a new science lab and other programs at her local elementary school. Julie currently mentors high-risk adults as a volunteer probation officer and children as a court appointed special advocate. In 2008 and 2015 she lived in Australia, Asia, and Africa with her husband and two children. Steve brings a mix of experience with both for-profit and nonprofit companies to MAIA. Steve started his professional career as a Peace Corps volunteer working with indigenous women in Bolivia where he helped them start and manage small businesses. After returning from Bolivia, Steve embarked on a career that spans Target, CARE International, General Mills, and ConAgra, and he currently is a marketing director at Samsung Electronics. Steve lives in Minneapolis, Minnesota. Susie is a writer, mother, and educational consultant (www.susierinehart.com). For 23 years, she was a high-school teacher and principal, then the director of Where There Be Dragons, a study-abroad program in developing countries for teenagers. She helped schools to strategically place leadership development and the empowerment of girls at the center of their educational missions. Susie lives in Boulder, Colorado, with her husband and two children. As a business leader, Bill has worked in both large corporations and small entrepreneurial companies during his 20-year career. Bill successfully founded and guided, as President &amp; CEO, a venture-backed company through start-up, rapid growth, market leadership, acquisitions and eventual sale. At midlife, Bill embarked on a new journey in faith, personal growth and facilitation. Since then, he has attended numerous trainings, co-facilitated YPO forum retreats and lead spiritual weekend retreats. Bill holds a BA in physics from Hamilton, a BSEE from Columbia and a MBA from Harvard. Bill lives in Golden, Colorado, with his wife and son. Andy retired in 2016 as a public finance investment banker with D.A. Davidson, a regional investment brokerage firm. Over the course of 40 years in municipal finance, Andy has structured securities offerings for municipal issuers and private obligors in a variety of specialized areas of public finance, utilizing his background in both finance and law. Prior to his association in 2005 with Davidson, Andy spent 14 years with the investment banking divisions of United Bank of Denver and of Kirkpatrick Pettis (Mutual of Omaha). Formerly, he was also a partner in the Denver office of Ballard Spahr, a national law firm based in Philadelphia. Serving in various capacities for public infrastructure transactions since 1976, Andy contributed to the financial welfare of American communities and their constituencies. Andy earned a Juris Doctor degree from the University of Virginia School of Law and a B.S. In Economics from the Wharton School of the University of Pennsylvania. He is a member of various bar associations and The Explorers Club. He is married to a physician and has two adult children. Maria was raised in Guatemala City, Guatemala. After receiving her law degree, she moved to Denver, where she currently works as an associate at Davis Graham & Stubbs, LLP. Ms. Oxman works with investors, developers, lenders and allocaters in a variety of real estate and financing matters. Her team represents clients in international developments and cross-border transactions. Meg’s professional experience is diverse—from park ranger to community and economic development and real estate consulting. Her favorite things are the north Maine woods (and their resident moose), writing (especially her blog), swimming (fast), traveling (somewhere new), connecting with people (the world is so small), and attempting to at least say hello or thank you in as many languages as possible (12 she can remember so far). She loves to improve efficiency and efficacy by building organizational structure and devotes her free time to enrichment and community service programs at her children’s school, the local community children’s center, and the A Better Chance program. She lives with her husband and two children outside of Boston. Rebecca Weaver’s wide-ranging experience spans two decades and includes time at companies of all shapes and sizes, from start-up to Fortune 50. She believes that the world of work and particularly HR, her chosen profession, could use some disrupting. Her reputation is built on grand and groundbreaking HR experiments, like leading teams through learning the art of self-management. For Rebecca, fun is designing employment branding and leadership development strategies, but if you really want to get her going, ask her about MAIA. The girl pioneers inspired her TEDx talk on human potential. She lives with her husband and two daughters in Seattle. In addition to being the co-founder of MAIA (previously known as Starfish), Connie was also instrumental in starting Friendship Bridge and was an early adopter of women-centered development when few knew of it. She is one of the prime torchbearers of the “quality over quantity” commitment and was the originator of the mentorship concept in MAIA. She also co-founded the Evergreen Alliance for Sustainability (EAS+Y). She lives in Evergreen, Colorado. Ted is a semi-retired urologist, professor of medicine, insatiable reader, and recognized expert in the field of international development and medical anthropology. In addition to being a co-founder of MAIA (previously known as Starfish), Ted co-founded Friendship Bridge. He holds an honorary doctorate from the University of Colorado for his international service, is a Rotarian, and serves on the Board of Evergreen Alliance for Sustainability + You (EAS+Y). Ted lives in Evergreen, Colorado. Mimi pioneered female-led business when it was a rarity. As founder and operator of Powder Pandas in Aspen, Mimi has gravitated towards women’s economic empowerment issues for decades. After spending years in the women’s microcredit field, Mimi co-founded MAIA (previously known as Starfish). She left the Board in 2014 but remains active in the organization. Jess is changing cultural messages one brand at a time. From Barbie’s latest body evolution to Dove’s memorable Real Beauty campaign, the results of her work behind the scenes have come to light over the years, making significant waves in terms of how we approach women, girls, and confidence. Jess is an acclaimed writer, speaker, author, and entrepreneur with over two decades of experience as a thought-leader on social and cultural change. She is the CEO of Talk to Jess, a consulting and strategy firm that acts as a thought partner for companies that seek to change their messaging toward women and girls. Peter brings tremendous knowledge and experience to MAIA from a philanthropic and strategic programmatic perspective. Over the course of his career, Peter has managed a variety of foundations and brings this unique insight to MAIA. Peter loves Guatemala and has been visiting MAIA since its early days. He was awarded MAIA’s “Partner of the Year” in 2018. Beth is a professor at University of Colorado’s Department of Theatre & Dance. She is a renowned expert in the field of women’s vocal empowerment, having traveled the world conducting workshops for marginalized women. Beth regularly visits MAIA to introduce techniques that equip Girl Pioneers with the power to express their unique perspective. Her work with MAIA is featured in her recent book published by Routledge. Chelsea is an interdisciplinary artist, researcher, and creative consultant. She is the co-founder of the international vocal empowerment training program SPEAK and is currently completing her doctorate in Educational Theatre at NYU on a partnership between MAIA and Ajchowen, a Guatemalan theatre company of Mayan women. Based in New York City, she is also an actress, writer, and director, using the power of theatre to create collective meaning and engage in critical conversations around the world. She loves to push the boundaries of performance and see how it can be used to make the world a better place. Roberto is the CEO of BRIX, a Guatemalan marketing firm. Roberto was raised in Guatemala but completed his undergraduate and graduate studies in the US and Europe. He brings an innovative approach to engaging and involving Guatemalans in efforts to create a more inclusive and just society. Roberto is an active member of FUNDESA, an economic empowerment organization and is also a Fellow at the Central American Leadership Institute (CALI). Roberto provides insights, coaching, and technical support to the MAIA leadership team on a regular basis. He and his family live in Guatemala City. María is the co-founder of Zen Interactive Media, a dynamic boutique digital agency in Guatemala. María completed her undergraduate and graduate degrees internationally and returned to Guatemala to support diverse economic and social development efforts. 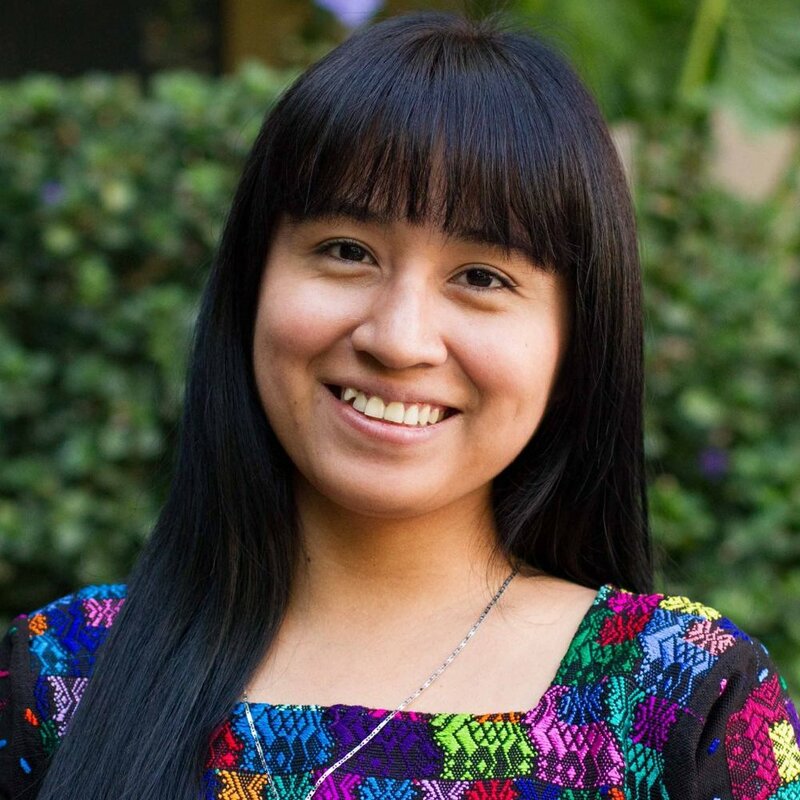 She has been recognized as a Global Shaper by the World Economic Forum and as a Fellow of the Central American Leadership Institute for her efforts to introduce positive change in Guatemala. María advises MAIA on its communication and engagement strategies in Guatemala. Paulina has designed more than 200 brands for shopping centers and retail, corporate, culinary, energy, hotel, and real estate institutions and professional services. In 2008, she founded Eikon, an independent branding consulting firm in Guatemala City. As a creative director, she guides clients in the process of creating strategic brands that represent unique experiences. Her passion for contemporary art has inspired her to participate in various organizations that support and promote national and Latin American art. Paulina provides technical support to MAIA on its English-Spanish-Kachiquel branding projects.